Microsoft Lumia 535 is one of the best windows mobiles and with such a low price of Rs.6590 it attracts huge number of buyers. Amazon India offers this mobile with the lowest price available online. Also by this mobile with EMI starts at just rupees 588 per month. Cash on delivery is available with this mobile. Microsoft Lumia 535 comes with a 5 megapixel primary camera and 5 megapixel front camera for selfies. The camera quality is so nice even professionals use it. Microsoft Lumia 535 comes with 5 inch HD IPS LCD capacitive touchscreen with 960 x 540 pixels resolution which enables you to use this mobile so easily. You can access all the apps with one touch. Microsoft Lumia 535 comes with Windows 8.1 operating system with 1.2 gigahertz Snapdragon 200 Quad Core processor, which is speed of this processor all your multitasking needs will be satisfied. The Windows operating system and hands of the performance and it's so easy to use. 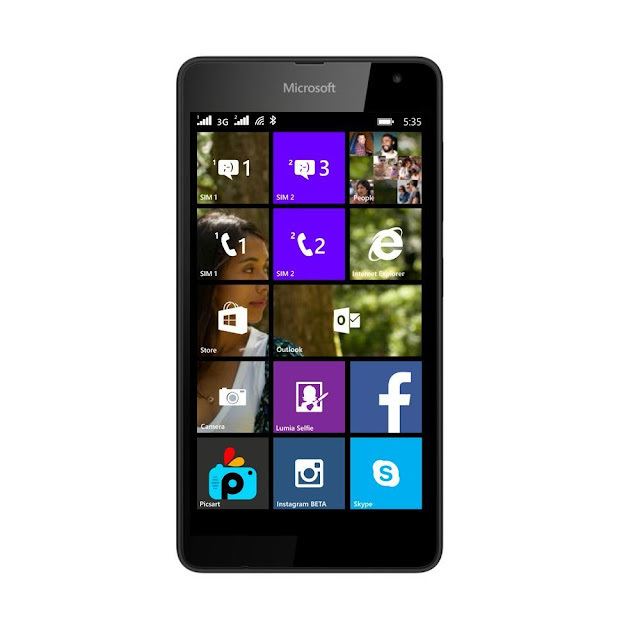 Microsoft Lumia 535 comes with 1GB RAM, 8GB internal memory and memory can be extended upto 128 GB. It also has a duel micro sim slots (GSM + GSM) to stay in touch with all your contacts. Microsoft Lumia 535 comes with lithium ion battery which provide battery life more than any other mobiles providing talk time of 11 hours on 2G and 13 hours on 3 G networks and standby time of 168 hours. Microsoft Lumia 535 has 1 year manufacturers warranty for device and 6 months for in box accessories from the date of purchase. Microsoft Lumia 535 gaming experience is exceptional compared to Android mobiles, the camera quality is as good as any 8 megapixels camera. overall Microsoft Lumia is rated 3.8 out of 5 stars.